Jenny Francis breathes luxe modernism into Hôtel Le Germain’s Victor Restaurant. When Chef David Chrystian decided to switch from his original à la carte French cuisine to Toronto-inspired tapas, he sought to revamp Victor’s austere surroundings. 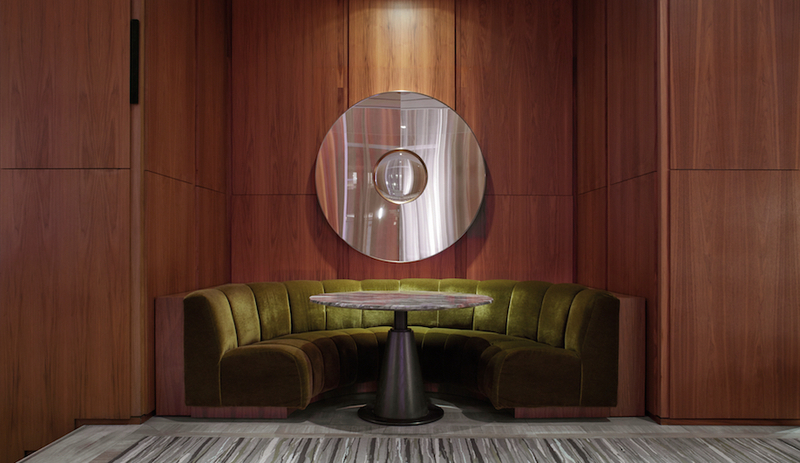 Hôtel Le Germain, along with partners Tony Cohen and Michael Sullivan, enlisted Toronto architect and designer Jenny Francis, to add a touch of glamour to the space while maintaining the hotel’s sophisticated, Zen-like interiors. Previously of 3rd Uncle Design, Francis is at work on many residential and commercial projects, including the rooftop poolside cabana of Toronto’s Thompson Hotel and the patio outside Scarpetta, the hotel’s upscale Italian eatery. 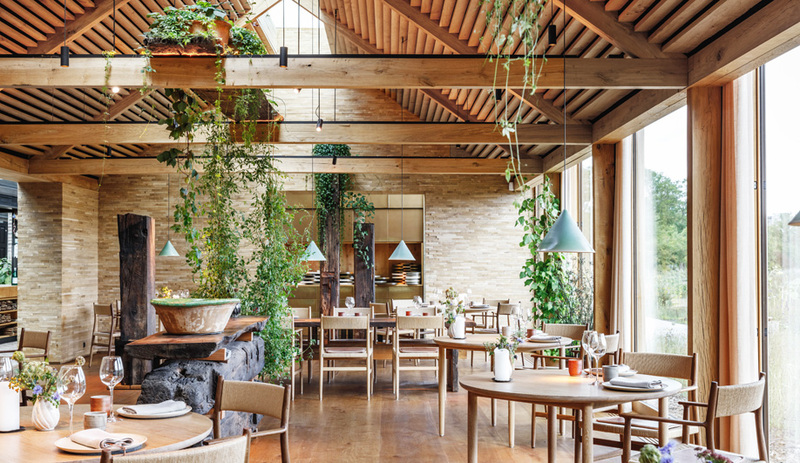 For Victor Restaurant, Francis drew inspiration from several of her passions – travel, Parisian salons and ideas around such urban public spaces as railway stations. The result is a strong architectural space full of textured materials. Francis integrated the hotel lobby into the restaurant by cutting a large opening from the glass wall and framing it with black powder-coated steel. Through the dramatic entrance, fumed oak Moncer flooring with ebony tones sets the mood for Victor’s bar. Though Francis kept the original giant, cream lampshades in the lounge area and the existing dining chairs (reupholstered in black leather), she designed many of the new pieces herself. Simple yet opulent sofas made with white oak and brass and upholstered in aubergine velvet line the windows. They’re accented by round cocktail tables in various sizes topped with antique mirror or limestone. 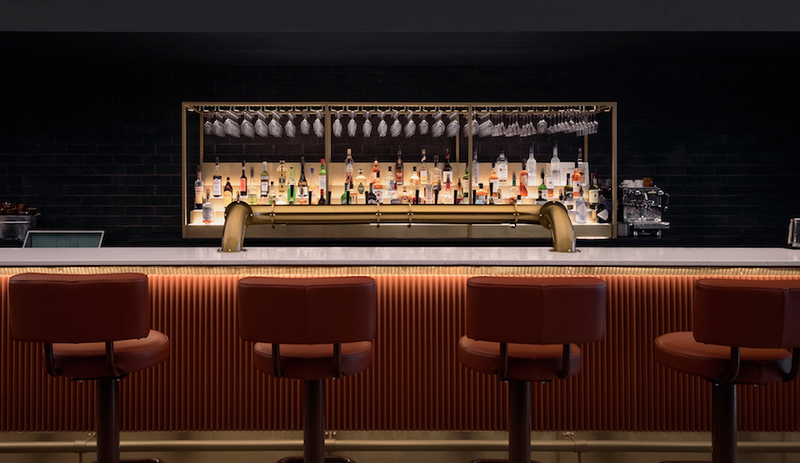 On the other side of the lounge, a five-metre-wide bevelled light box projects abstract images above the new zinc bar, which is fronted with a herringbone-patterned wood veneer and furnished with black leather Valeria bar stools by Andreu World. The dining tables throughout are topped with French limestone. A three-metre-high folding glass wall comprised of black steel and glass divides the lounge and private dining room (when retracted, the restaurant and bar become one). Past the wall, the wood floors morph into a black, grey and white Escher-like, eco-friendly covering by InterfaceFLOR. Francis has experience in the wallcoverings business – she custom-designed wallpaper for W Hotel – and collaborated with Rollout to produce a covering inspired by the shadows that trees cast onto her cottage. The distorted, deep purple and black image they devised is named Shadow Forest. 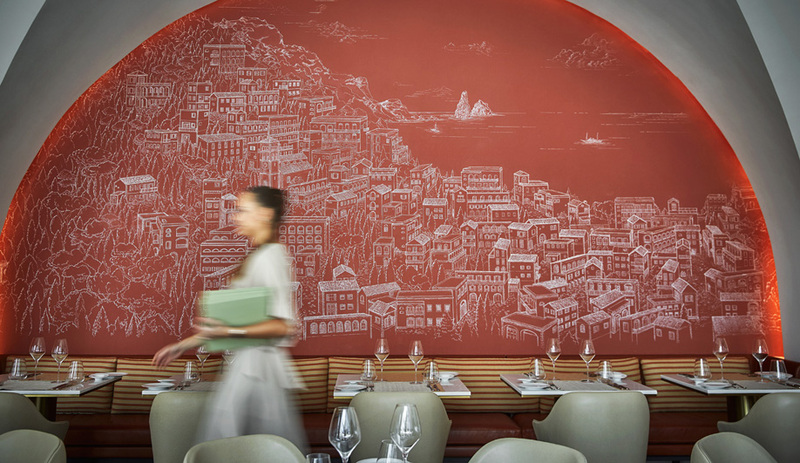 On one wall of the arborous mural sits a massive chrome and glass wine cabinet and, on the other, an extension of the lounge’s wood and zinc bar. Globe-shaped pendants by Bocci are dispersed throughout, lending an ethereal feel to the space. Victor is located in Hôtel Le Germain at 30 Mercer Street in Toronto. All images courtesy Victor Shum.